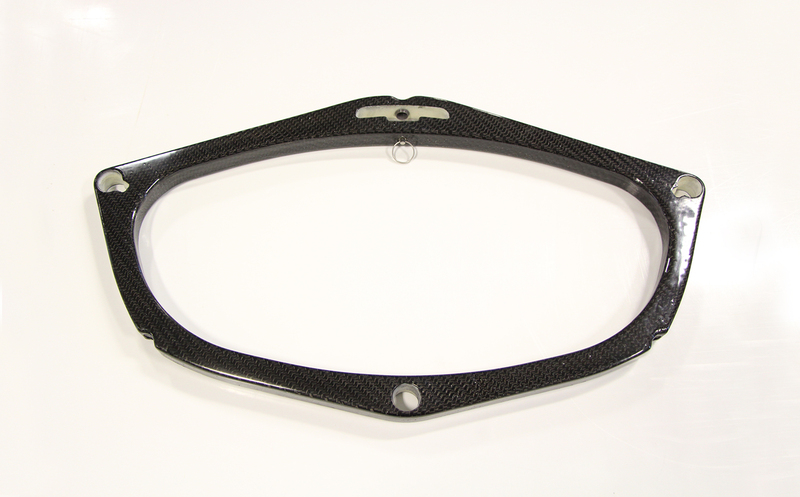 Looking for information on what is going on in the Canadian composites industry? The Canadian Composites Alliance (CCA) is a group that is creating connectivity between composites industry individuals and support groups from across Canada. 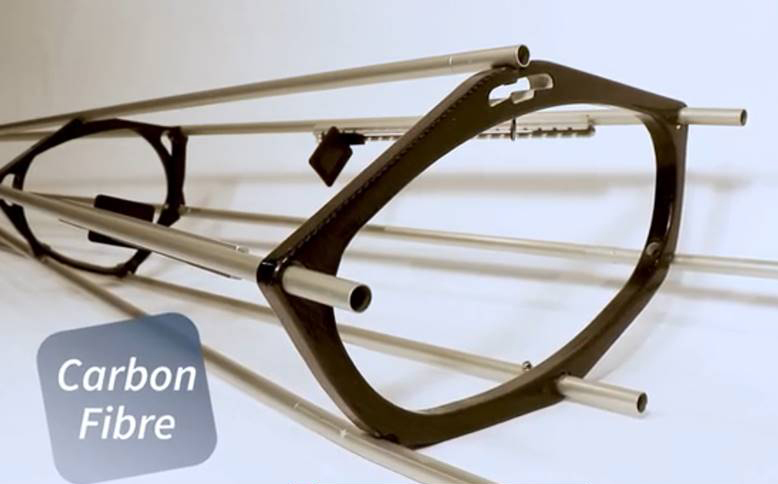 CACSMA, the Composites Research Network and the Composites Innovation Centre (along with other industry and academic groups) developed the CCA as an outcome of the composites workshops held across Canada last year. The CCA is primarily facilitated through a LinkedIn group that launched earlier this summer at CANCOM in Ottawa. The goal of this group is to facilitate opportunities for collaboration and information sharing that will result in stronger, more successful companies and better utilization of support resources across the country. Imagine being able to pack up and go on any adventure and bring along your favourite kayak. TRAK Kayaks, a company based in Calgary, Alberta, manufactures portable kayaks that are durable, lightweight and performance driven. 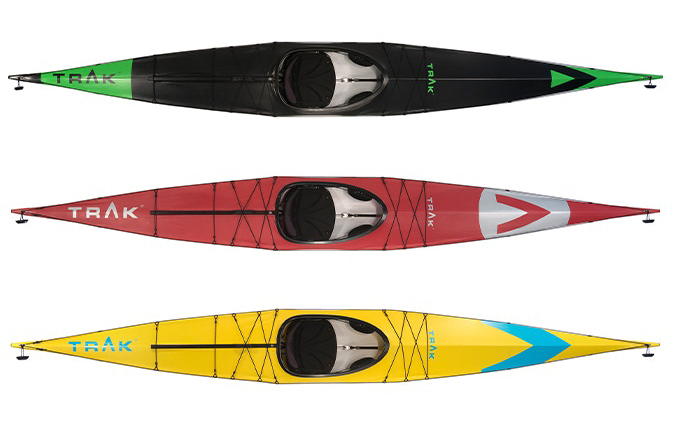 They approached the CIC with their latest design, TRAK 2.0: the Ultimate Touring Kayak and asked us to assist with the interior rib design to reduce weight while still maintaining the performance level and existing price point for manufacturing. The existing interior ribs were made of solid polyurethane and they were quite heavy; when the kayak was packed to travel, the bag was over the standard weight limit allowable for baggage on planes. They also had a very tight cost target and strict structural performance requirements to support a 350 lb weight sitting on the kayak. 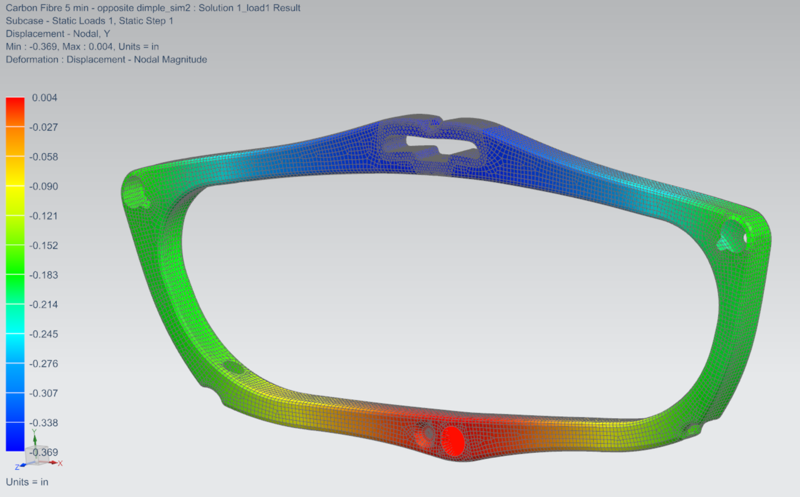 We started the project with a feasibility study to look at various concepts and alternative materials such as aluminum, fibreglass and carbon fibre to see which would be best suited. We then re-designed the rib to fit into TRAK’s specifications using the selected carbon fibre material. This included ensuring that the design would interface seamlessly with existing connection points and also to simplify the geometry to maximize the area that the kayaker’s legs pass through. 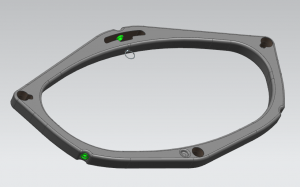 The coaming latch mechanism was also redesigned to save weight and reduce cost. We performed finite element analysis on the various designs concepts and the final design to ensure it passed the structural requirements. After the final design was selected, we then prototyped the ribs in our shop using hand layup in a silicone mould to verify the design. The final product was a hollow carbon fibre rib with co-moulded 3D printed inserts to provide the geometry required to fasten the existing components to the inside of the kayak. The final weight was just under 50% of the existing ribs. This project was completed with support from the National Research Council’s Industrial Research Assistance Program.